The Westpac Stadium in Wellington, with a seating capacity of 34,500 (which can be increased to 38,000 for major Test matches), was opened on 3 January, 2000. Saturday’s Test match will be the seventh between New Zealand and South Africa at the stadium and the Springboks are still winless there. Their record for the previous six Tests is: P: 6; L: 6; PF: 79; PA: 180; TF: 9; TA: 19; Average score: 13-30; Win%: 0%. All six Tests were played in the Castle Lager Rugby Championship. In the very first Test match at this venue in 2002 the score was 20-41, which is the most points conceded by the Springboks at this ground. South Africa’s overall record in the Castle Lager Rugby Championship against New Zealand is: P: 47; W: 12; L: 35; PF: 881; PA: 1,358; TF: 80; TA: 142; Average score: 19-29. Win%: 26%. South Africa’s overall record against New Zealand is: P: 95; W: 35; L: 57; D: 3; PF: 1,482; PA: 1,945; TF: 143; TA: 212; Average score: 16-20. Win%: 37%. New Zealand’s biggest win against the Springboks was last year when the All Blacks won 57-0 in Albany. The Springboks’ best win was on 30 June 1928, when they beat the All Blacks 17-0 in Durban – New Zealand’s first Test on South African soil. The referee is Nigel Owens of Wales. He was born on 18 June, 1971 in Mynyddcerrig, Carmarthenshire. His first Test was in 2005 when he refereed a Test between Japan and Ireland in Osaka. Owens is the most experienced referee in the world with 83 Test match appearances to date. 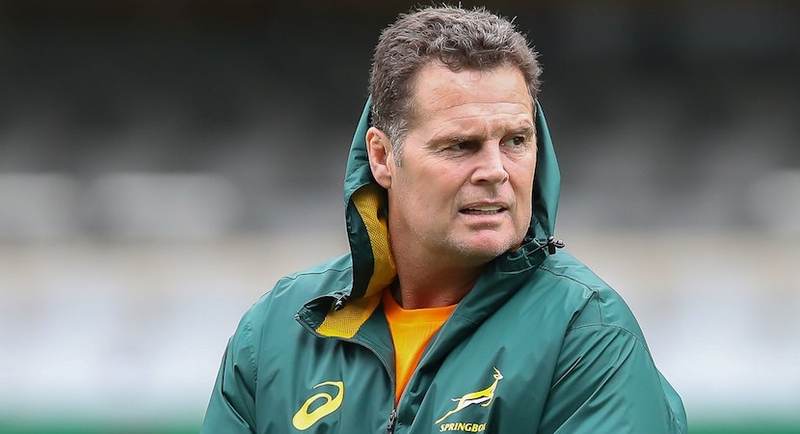 He has refereed in 16 Tests that involved South Africa previously, with the Springboks winning nine. The two assistant referees are Pascal Gaüzère of France and Nic Berry of Australia, while Englishman Rowan Kitt is the television referee.